Hats off to internet radio!! Internet radio–the kind you can listen to while surfing the ‘net, doing your homework, or writing The Great American Novel on your computer–is a haven and fertile soil for underground/independent bands. 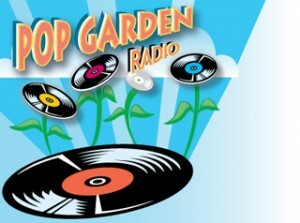 Great thanks to PopGardenRadio, Twirl Radio, ShockPop, Don Campau’s No Pigeon Holes, and others for showing such over-whelming support for The Trike Shop and our fellow tune-ful indie-pop bands! Click on those links in the last sentence, find the schedules, and tune in! —and also, big thanks to Endless Summer Quarterly..the long-standing magazine of surf music/culture. They have a virtual jukebox (it looks like a jukebox) that includes lots of musicians associated with Brian Wilson’s band, and the Beach Boys’ band [click here to see/hear it]—we’re honored to have a track of our own up there this week (among musicans such as The Wondermints, The Rip Chords and Jeffrey Foskett) : “Music to Change Clothes By” from the “Theremins of Mystery” album.